Remember how I talked about maintaining our acacia outdoor chairs last year? Well guess who forgot to bring them in the garage over winter (hint it was us) and they were looking pretty shabby. 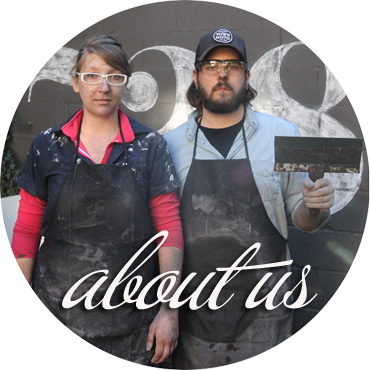 This year we decided to try out a different type of wood oil, in hopes that it would bring back some luster. We gave the chairs a wash, and placed them out in the yard to dry, and get oiled. 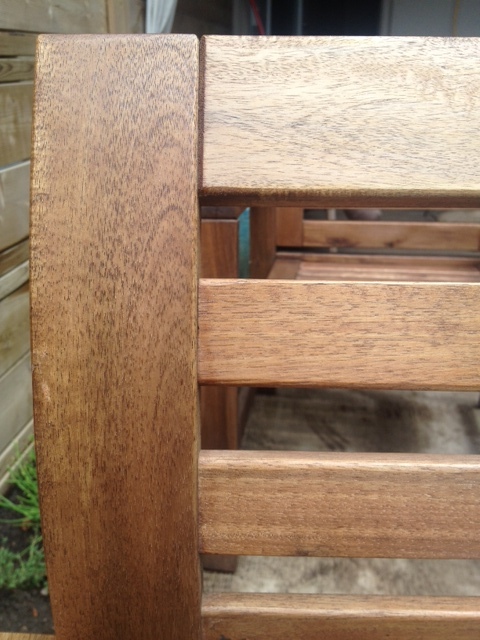 We used applied the Minwax Teak Oil with a foam brush, and after a few minutes work, our chairs were looking so much better! We plan on potentially giving them a little sand and a few more coats of oil because they guzzled it down. Poor thirsty chairs. 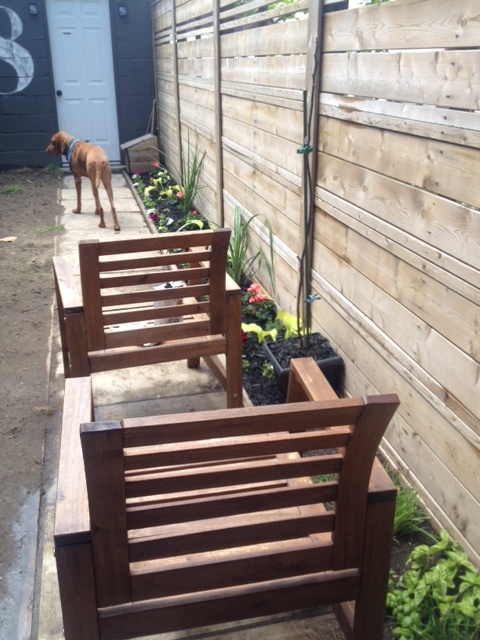 We’ve got a lot more to do in the backyard, but at least the chairs are looking a bit better! What do you use for your wood furniture maintenance? 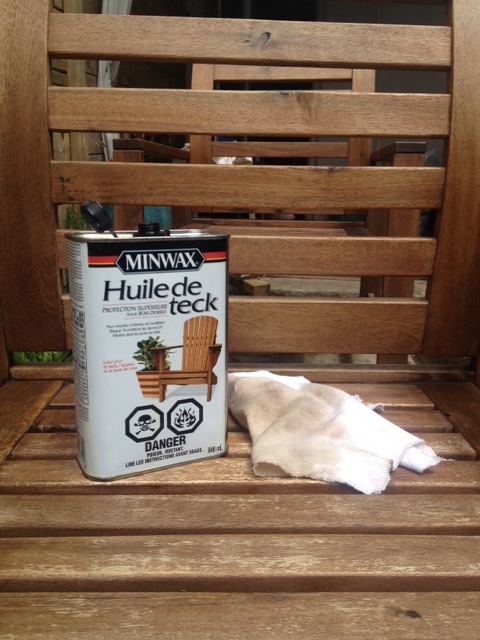 Have you used Minwax Teak Oil before? I'm a huge fan of Howard's Feed 'n' Wax for my indoor wood furniture. I recently finished a table with several coats of stain followed by 5-6 coats (over the course of 2 months) of Feed 'n' Wax. It came out amazing. We do use teak oil on our boat's swim / boarding platform. Great stuff.